When traveling through Italy, you see a lot of churches. After two weeks I’ve lost count of how many we’ve seen. The big kahuna, of course, is St. Peter’s Basilica, where just a step through the door strikes most visitors dumb. They are all wandering around, bumping into each other, twirling slowly to take in the vastness. All over Italy tourists do this clumsy dance through the myriad of church naves. How many of these visitors, I wondered, are moved by what they see? Specifically, how many of them are moved to worship? This question came up for me while I was visiting St. Peters. About three quarters through my visit I saw a nun just standing and staring, at what I could not be sure. I watched the back of her as she stood. She didn’t move. I wondered, from my protestant prospective, what she felt about what she saw. What did this place mean to her? Was this the culmination of a grand pilgrimage? As I pondered these questions, I suddenly realized that this place, in all its baroque lavishness, held little spiritual significance for me. 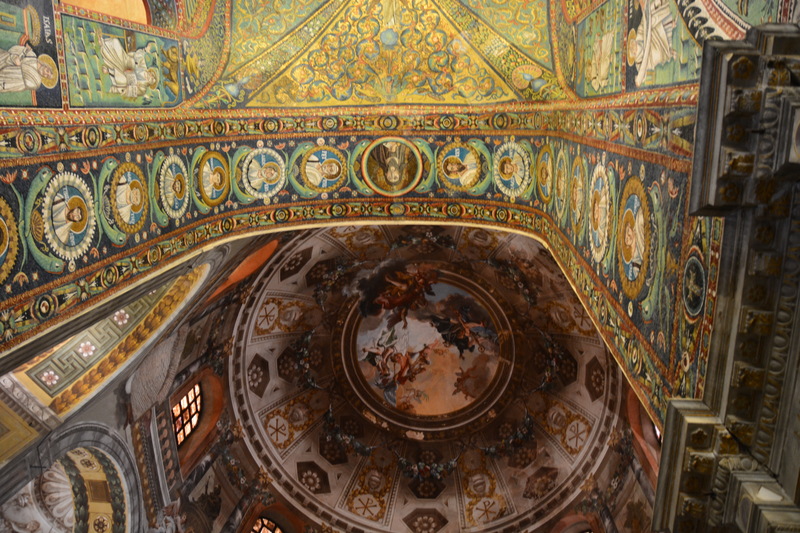 The surrounding opulent artwork eclipsed the fact that the church was supposed to be a holy space. I hope that I am in the minority and that others can look to such spaces as aids for connecting with God. 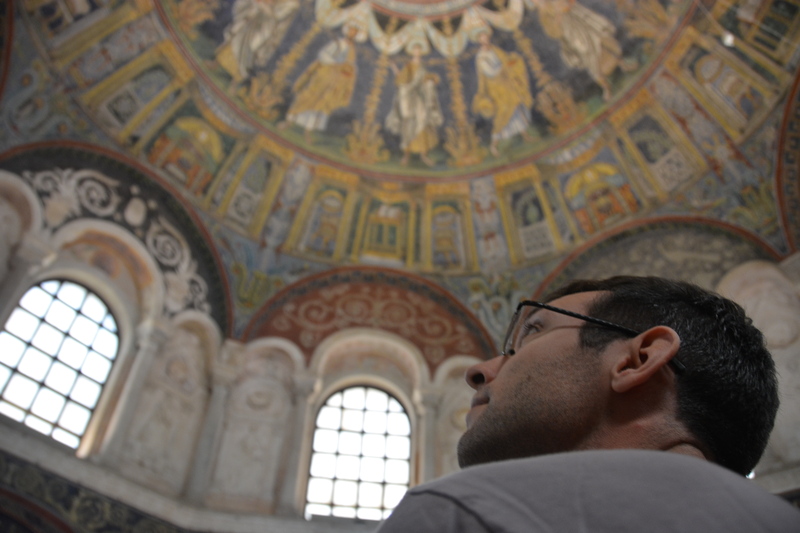 But in that moment I concluded that many of the Italian churches exemplified an aesthetic I couldn’t connect with spiritually, and as a result I found it hard to appreciate those spaces as places of worship. Why was this? There were, however, two wonderful exceptions. 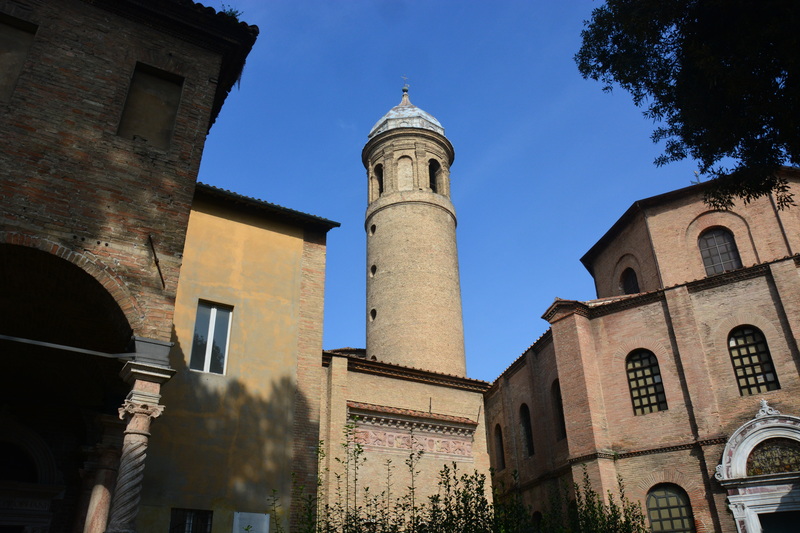 The first came in Ravenna, and the second in Assisi. 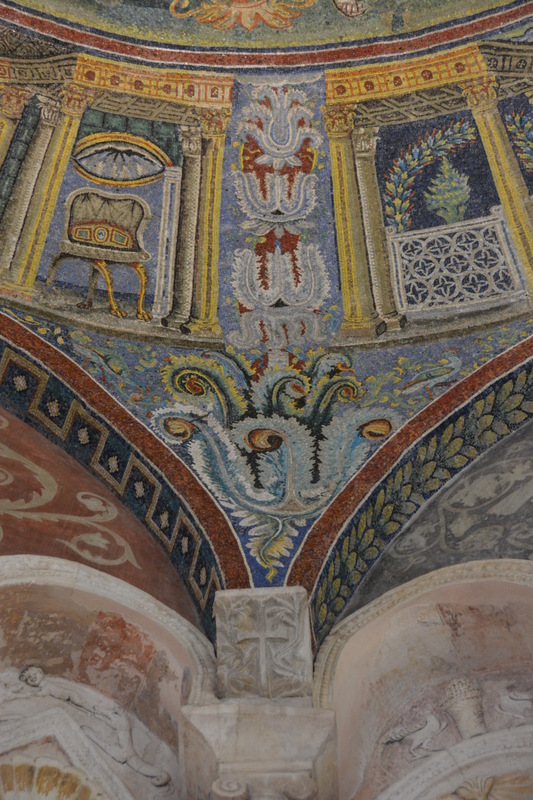 I will discuss Assisi at a later time, but let me tell you about the colors of Ravenna. 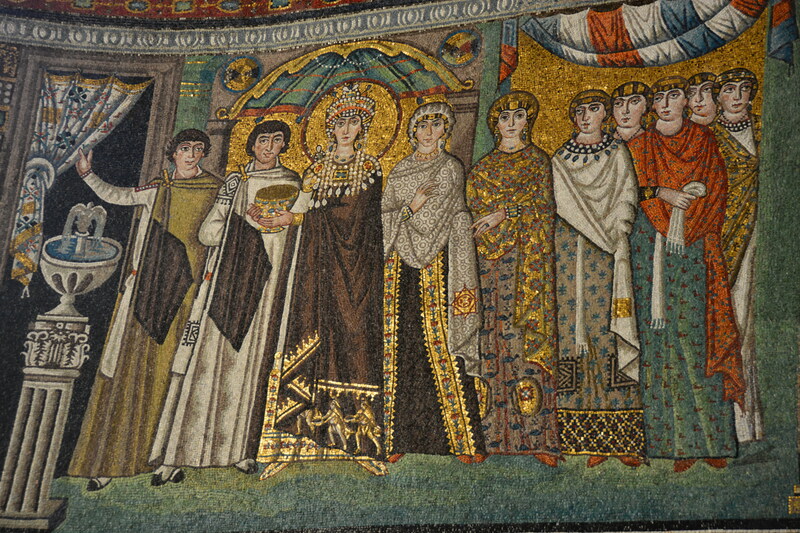 Ever since reading a History of Byzantium many years ago, Josh wanted to see the mosaic portraits of Justinian and Theodora, so Ravenna made it onto our itinerary early on. I thought it sounded neat, but otherwise did not know what to expect. 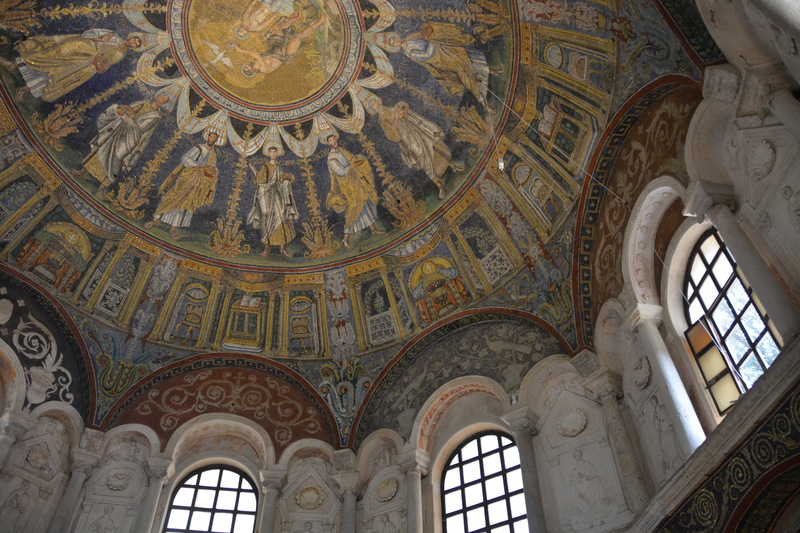 We walked into the church and looked up to see a large frescoed rotunda. That’s nice, I thought. But when we turned around our breath was taken away. 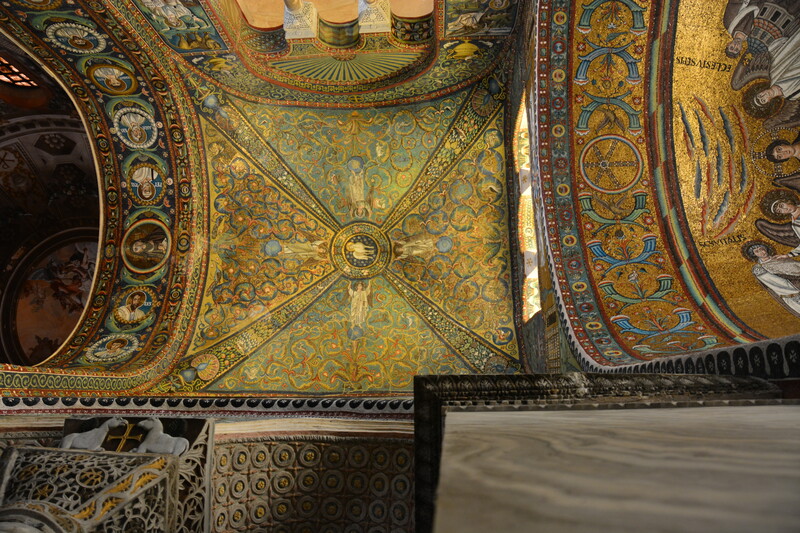 The main alter of the church was covered floor to ceiling in the most beautiful, most colorful mosaics I ever saw. 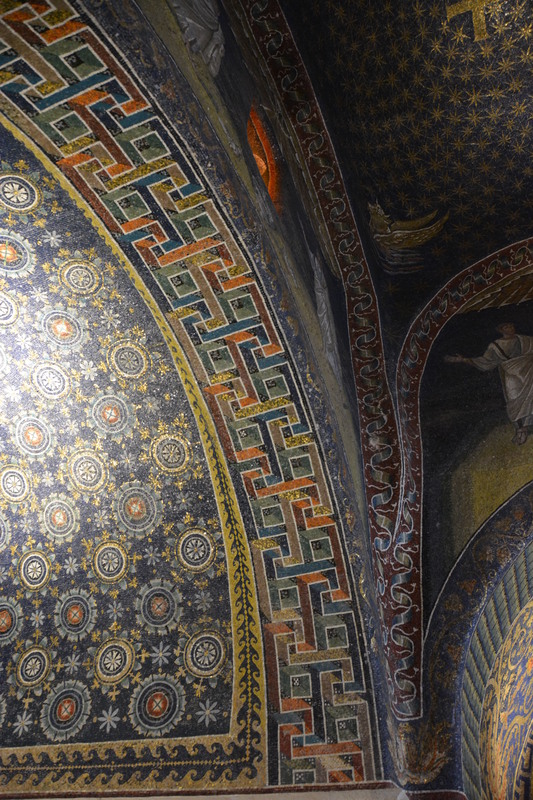 I couldn’t believe it was possible to achieve such colors at that time in history, let alone with mosaics. Blues and golds and reds and greens seem to dance in intricate, pixelated swirls across every surface. 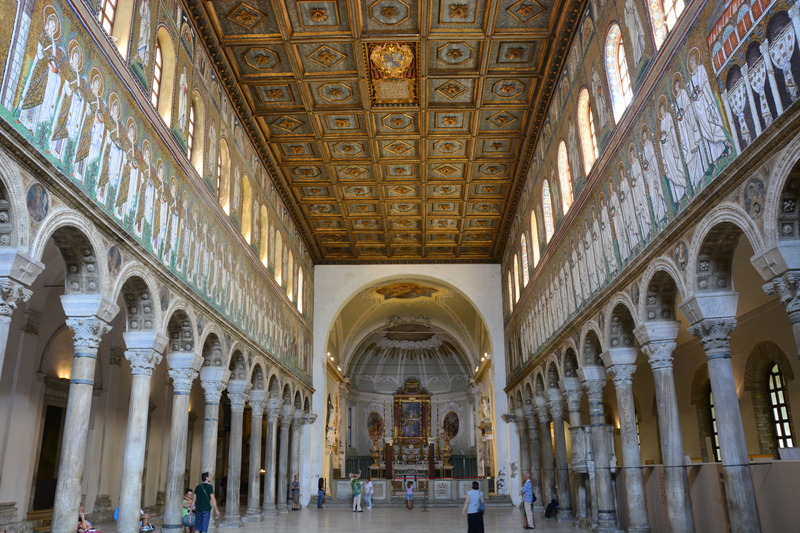 Faces with distinct visages and personalities looked down on us and directed our attention to the central figure of Christ whose portrait loomed from the center part of the ceiling. I looked into his face and admired the colors which so beautifully reflected the colors of His created world. This, I thought, was a holy space I could get excited about. a different kind of cubism? It is amazing how much color connects with our emotions. Artists have known this for millennia. Of course, many of them were limited in their color choice by the expense of different dyes, but they knew that color meant so much more to the composition than just filling in white spaces. Color speaks to us subconsciously, makes us feel things we might not feel otherwise. 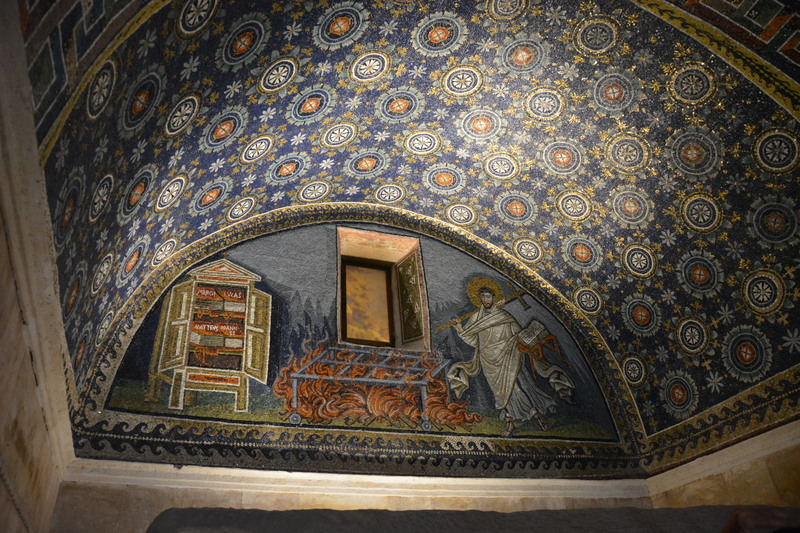 Consider this picture where you can see both the frescoed dome and the mosaic enclave. What do you notice? What do you feel? Which side attracts you more and why? This is, of course, an entirely subjective exercise and I would be fascinated to hear why your answers might differ from mine. To me, many Renaissance compositions exhibit pinks, purples, and creams that strike me as harsh. They make the holy figures seem somehow distant and cold (which is ironic considering the reddish palette is technically called “warm”). By contrast, the mosaics with their greens, blues, and golds seem lively, inviting, and hopeful. They speak to me of triumph and renewal and joy. There was such a naturalistic beauty in those colors that I wanted to count myself a part of the stories they helped depict. Indeed, I felt very much connected to those faces, connected to their reason for worship, and I was grateful.